The presence of mold in a house is usually the result of the presence of mold spores, humidity and warmth. 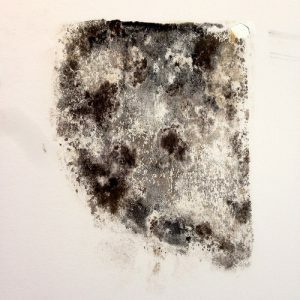 When you detect a moldy smell in a house or are interested in moving to a new home, it would be prudent to have a mold inspection in Toronto done to check for the presence and type of mold in the home. Since mold can have a negative influence on health, it would therefore be important to have any mold found removed professionally. This assures you of complete removal of the mold. The factors that predispose to growth of mold in the house also need to be addressed. A common factor is the presence of window condensation, which provides the moisture needed for mold to accumulate in various parts of the house. This, in addition to all other unwanted sources of humidity, have to be eliminated to reduce the chances of the problem recurring. Fortunately, there are multiple ways to reduce window condensation. One of these is by turning down the humidifier in rooms that have too much window condensation. The role of a humidifier is to release moisture into the air, a property that might be necessary in a very dry environment. By simply turning down the humidifier, less moisture is deposited into the air, and this results in less condensation on the windows. If you don’t use a humidifier and note that there is too much humidity in your home, you can also invest in a moisture eliminator. These are products which are usually hygroscopic in nature, absorb most of the moisture from the air. This reduces the risk of the moisture settling on cold windows and then condensing. Moisture eliminators should be placed in parts of home where the source of humidity is highest, such as the basement. Showering as well as cooking have been shown to increase the quantity of moisture in the air dramatically. This is especially so if the home does not have adequate ventilation to let all the humidified air out in a short time. As a result, this condenses on cold surfaces such as the windows. To deal with this, one can install exhaust fans in the kitchen and bathroom. These quickly absorb the moisture-laden air from the air, and get rid of it in a matter of minutes. Enhancing air circulation within a home can also reduce window condensation. Some of the simple ways to do this include using your ceiling fans to move air around the house. A trick is to use fans that rotate in a clockwise manner, since this pushes warm air down to the floor. If it’s not too cold, you can also consider opening your windows on a regular basis. This helps in getting rid of the warm, moist air within the home, which in turn reduces condensation on the windows. One other benefit of this is that it increases circulation of fresh air within the home, making it more comfortable and healthy for the occupants. Raising the window temperature is also an effective way of reducing window condensation. Placing window treatments such as blinds or drapes will trap air between the window and the window treatment, thus warming up the window. As a result, it becomes more difficult for any moisture to condense on the windows since this requires a cold surface. You can also use weather stripping on your windows to not only achieve this, but to also make your home more energy efficient. In summary, controlling window condensation is a good way of eliminating a common source of moisture which can promote mold growth and accumulation. Using the tips above, you can easily control this, and reduce the incidences of mold growth in your home.